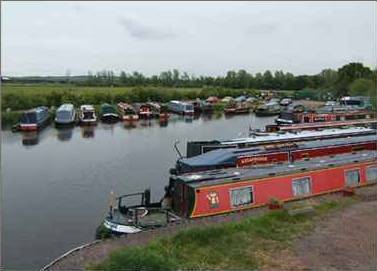 Category Archives for "Staffordshire And Worcestershire Canal"
Otherton Boat Haven, sitting in beautiful Staffordshire countryside, is situated on one of the most popular cruising routes in the country. The marina nestles between bridges 82 and 83 on the Staffs & Worcester Canal, on the outskirts of Penkridge and is close to village shops and pubs. The boat haven can be easily accessed by road and train. There is a train station just over a mile away. The M6 Toll, M54, A5 and A449 are all within easy travelling distance. Cannock Chase, an area of outstanding natural beauty, Shugbrough Estate and Weston Park are a small number of the many local tourist attractions. Otherton Boat Haven has been established since 1996 and is a family run business with 18 years experience in the narrowboat industry. We offer a vast range of services and there is always someone on the end of a phone to help with your requirements. Our marina offers peace, assurity and all year round security. The deep water in the marina means you never have to worry about your boat grounding. With plenty of space, all boats are easily manoeuvred around the marina and are easily accessed. Ample parking space is also provided.